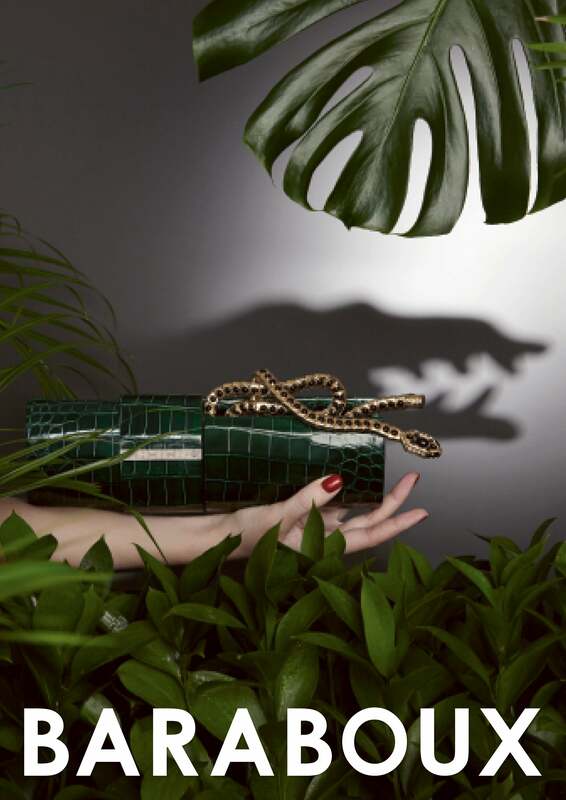 Baraboux campaign image of the special edition collaborative croc Reema Clutch for Harrods. "If I'm going to put my name to something, I really feel that it has to be something that delivers on the proposition." HRH Princess Reema Bint Bandar Al Saud has extensive executive experience in the realm of luxury large-scale retail, and having founded her own brand some years ago, she can claim luxury startup experience as well. Formerly the CEO of Alfa International, the company that operates Harvey Nichols Riyadh, Princess Reema is now focusing on the brand proliferation of Baraboux, a better leathers line of ergonomic luxury bags that runs the gamut from clutches to shoulder bags, which now boasts of a multinational presence. She currently also serves as a part of the executive committee and on the board of directors of Alfa. In the realm of luxury, Al Saud's tactics revolutionized the high-end retailer's approach to human capital development- Harvey Nichols Riyadh proved that educating and empowering staff members could and would stimulate profits. During Al Saud's tenure, the staff were taught to internalize luxury product stories and identities (meant for lifestyles remote from their own) thereby bettering their understandingof how to present(and sell) to the niche client. She approached the prestige cosmetic companies that had a presence at the retailer, and requested Arabic-language trainings to bridge barriers and enhance staff product knowledge, and she says the cosmetics companies were proactive in actioning the localization measure. Al Saud also incorporated Western-style retail incentive schemas not only to encourage stronger sales procedures, but also to foster team sensibility and workplace fairness for a group success model. These are only a few methodologies that Al Saud put into place for staff servicing the department store's niche clients, and it's fair to say that great luxury sales are often generated by hyper service-oriented environments. The Princess points outthat there were two different agendas put into place at Harvey Nichols Riyadh under her leadership, noting that "there was as a difference with what we did before the law was passed and after the law was passed," in the contextof the evolving nature of the KSA workforce. Cross-selling across departments was taught and rewarded, and both store and individual transaction targets were all restructured and realigned so that staff now looked to the overall healthof the store's sales instead of just their own areas or product lines. Al Saud has similar innovative ideas when it came down to launching her own brand. To begin with, shedid what the world's biggest luxury brands do best: define the perfect target market. "The original client was myself. I say that because at the time thatI thought of the collection, I was travelling a lot and literally in between a move back home from living in the States. I had two children, I was just starting work, and for the way I wanted and need to travel and move, I couldn't find the bag that fit the lifestyle I had. So I ended up either carrying too much or little, so I ended up sketching and designing the first bag with myself in mind." Cleverly designed and striking, Baraboux is sported by both MENA region influencers and Western household names (Elizabeth Hurley has been photographed carrying the eponymous Reema Clutch on a night out). Most recently, a collaborative effort with highbrow Harrods cements Baraboux,a homegrown brand, as a certified international player. Developed in Italy, Al Saud describes Baraboux as "more of an entry level luxury on the edge of contemporary" and says her ideal client isn't afraid to mix Dior with high street pieces and a cool pair of Adidas sneakers. They are "knowledgeable consumers" who have access to digital media and worldwide trends, and not just because they're well-traveled (and well-heeled). These days, fashion's biggest names are doing just that, and Baraboux is along for the ride. "We're a small brand, and we're a niche brand," she says, but that "small" brand includes some of the most relevant faces in the Middle East, Europe and farther abroad. Her background in Museum Studies has been applied in her capacity as Creative Director with staging, message crafting and delivery. 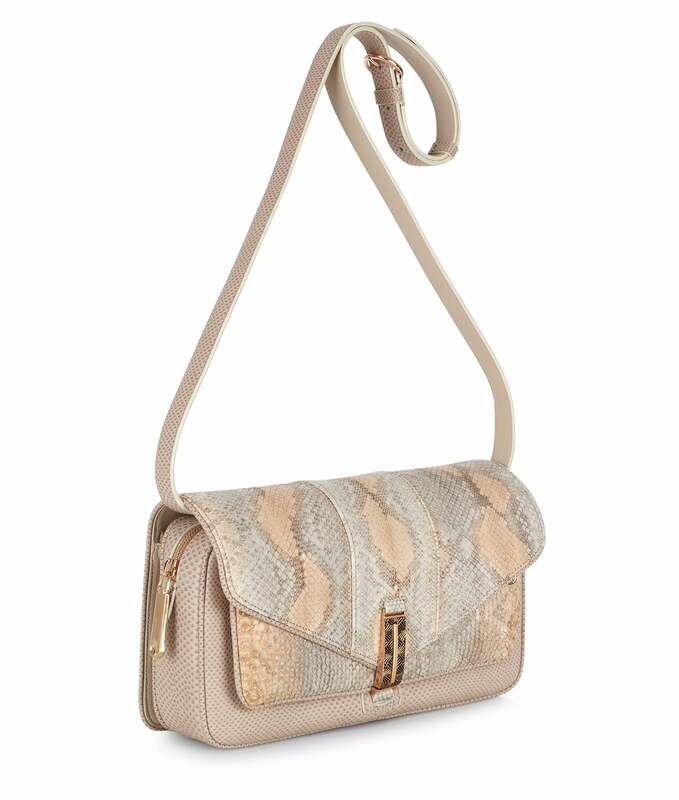 The bestseller is the Reema Clutch, followed by the No. 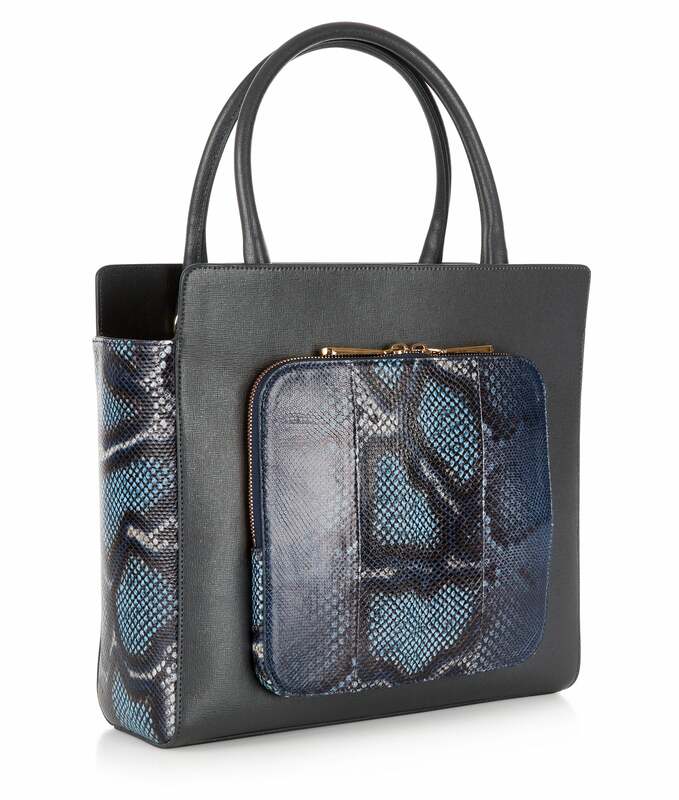 6, an autonomous bag that also pairs with the line's larger totes. One of the Princess' personal favorites after the Reema Clutch is the Mr. T: "I can roll my abaya up and put it right in there. I'm the girl that travels with socks and scarves and I put it all in the Mr. T -it's got two detachable pouches- everything we create has a dual functionality to it." The Baraboux Noush is another top seller- besides being attractive and well-made, the bag is good for both shoulder and crossbody wear and has multiple pockets inside that help brand fans "compartmentalize their lives." Does Italian production eat into the brand's profit margin? Besides prioritizing "good quality and artisanal workmanship", Al Saud has 'a-stitch-in-time-saves-nine' philosophyon this, basically pointingout that Italian production of Baraboux products makes a lot more fiscal sense than products developed cheaply in China. "We look at our market and who we want to sell to when choosing our leathers andour materials. We're not only choosing the best ones for the market we're looking to sell to but also the ones that are the most durable." Yes, production costs in Italy are higher, but a slew of other areas of the Baraboux business are saving time, money, and preventing logistical issues from occurring. Italy's proximity to her Saudi Arabian home base makes it easier to travel there four to five times per year, Italian production demonstrates much lower error margins and shorter execution times due to their extreme level of experience with fine goods, and also, Italy being a synergistic hub for better goods means thatall the different production points are situated next to one another and therefore liaise much easier than they would with far-flung locales. "We can literally manage the full cycle in one trip, and it's more time and cost effective than if I had suppliers in six different countries." In the news, HRH is mostly mentioned for her fashion-based endeavors, despite the fact that she is also a social entrepreneur, founding Alf Khair [Arabic for one thousand opportunities] and as a part of Alf Khair, Alf Dharb. Originally conceived as a retail academy, Alf Dharb as an educational institution is focused on a "readiness for work, core-competency" type of agenda with attendees primarily from two streams of society. The nature of her past and current work in the luxury sector has given the Princess a lot of press focus, and she does leverage that to shed light on her social entrepreneurial endeavors. "When I look back at my career, what really interests me is providing opportunities for other people. And particularly back home, the retail industry provides a lot of job opportunities, so the more that I dive into that, the more retail ventures that I dive into, I end up being able to create more jobs and that interests me and fascinates me which is where the social enterprise Alf Khair came about. The vehicle seems to be fashion and retail, and I find that intriguing."